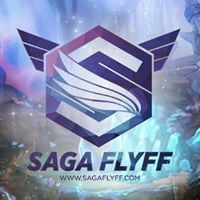 Hi Saga FlyFFers !! GM istratOr is here. Are you guys tired of waiting the patcher to show the "START" button? Well, here's a solution for you. First Step: Go to your Saga FlyFF Directory(folder). Find "Neuz.exe"(has an iTak icon). Copy it. Second Step: Paste it as "Shortcut" on your desktop. Third Step: Right-click it then "Properties". Fourth Step: On Target Box, type "godisgood .Flyff.exe |" beside Neuz.exe. Click APPLY then OK.
Sixth Step: Now it works. Log in your account to test it.